Designed for use with our Progressive rate coils, these 2.5 remote resi smooth body shocks are built and tuned to perform for both street and offroad trucks alike! 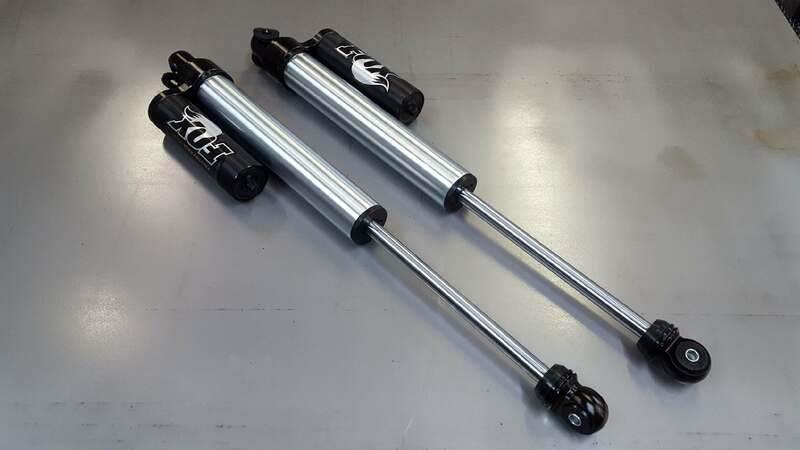 These versatile shocks can be built in several configurations to fit your needs and are fully serviceable and adjustable with simple tools. These come with a remote reservoir. THESE ARE SOLD IN PAIRS!! These are designed to mount into the factory shock location. Reservoir mounts not included but are available separately. We recommend these to be paired with a matching set of Fox rear shocks for a proper balance and ultimate ride improvement.